Spectrum Health Danish Dash - Danish Festival Inc.
Join us for the The Spectrum Health Danish Dash! 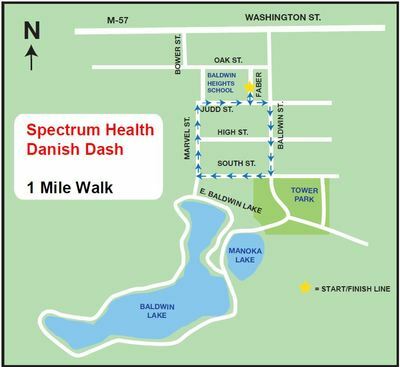 The run will begin and end at Baldwin Heights Elementary School on August 18 during Danish Festival. 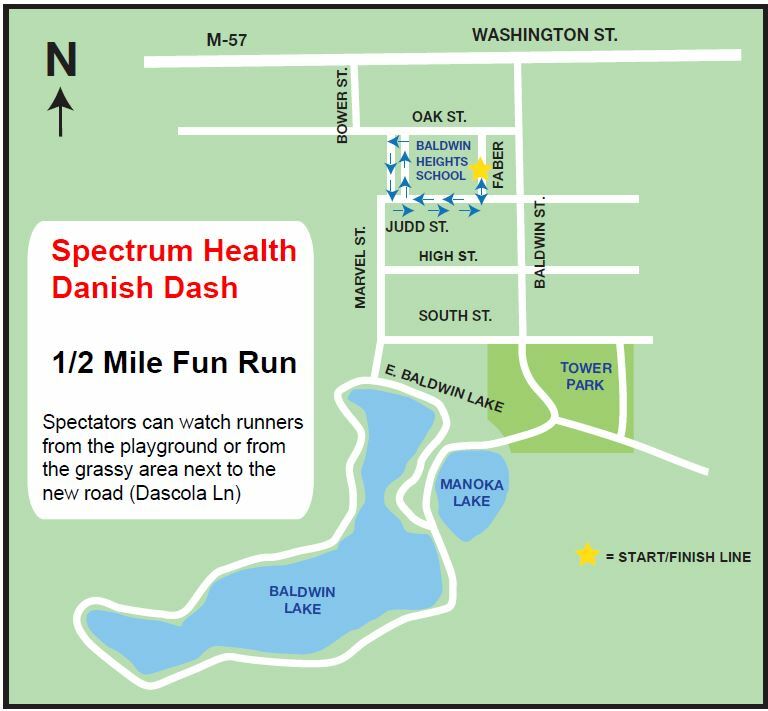 This USA Track & Field certified 5K course will run through Tower Park, past historic Manoka Lake and around Baldwin Lake. The course provides a scenic view of Taylor Hops and will conclude with a gradual hill on Marvel Drive. 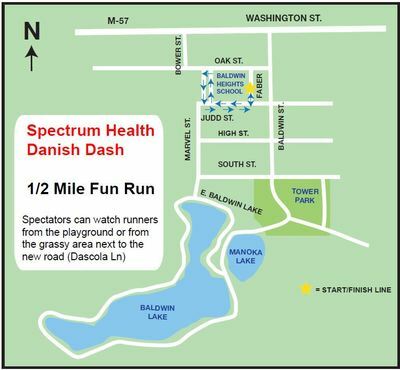 The race will be professionally timed and include a "Dress Like a Dane" costume contest, a photo booth, DJ and many fun and motivational surprises along the course.